I only just received The Gold Rush. 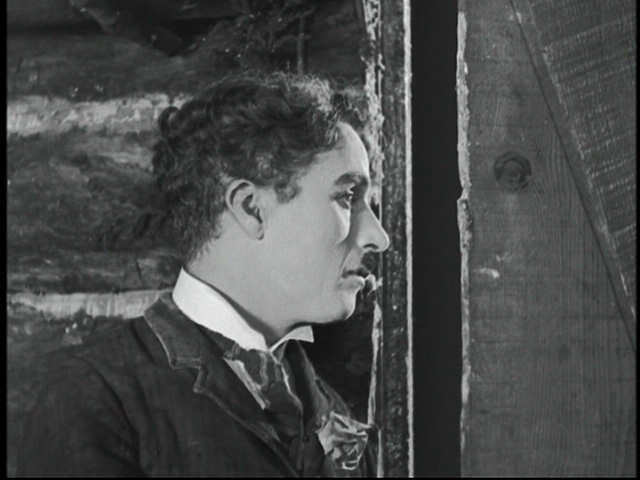 This film was reedited and rereleased by Chaplin in 1943 with a new muscial score and narration by Chaplin. Unfortunately, I didn't know this. It appears the disk I received has the 1943 version, rather than the 1925, so, I'm left trying to evaluate the film as if I'd seen it without the sound. Worth seeing, but try to watch the 1925 version. 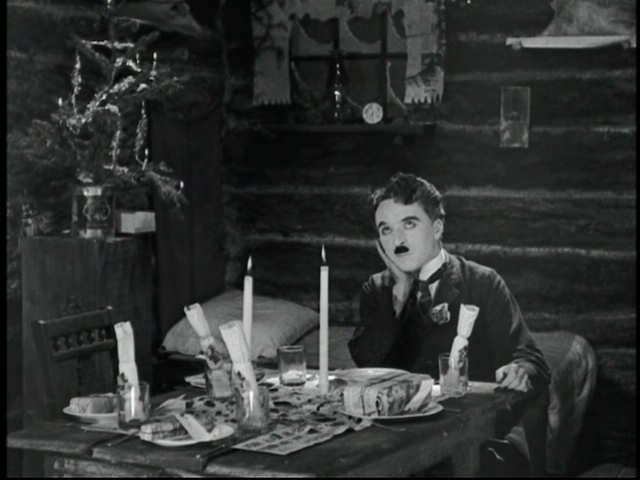 New Year's Eve dinner is prepared, but the ladies have not appeared as promised. 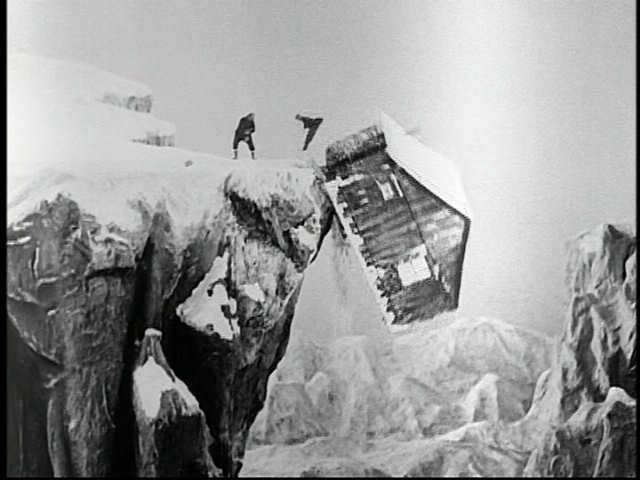 That's Chaplin leaping out of the falling cabin. How this was done so realistically, I don't know.